Keep your favorite case with the Koolance Aquian! 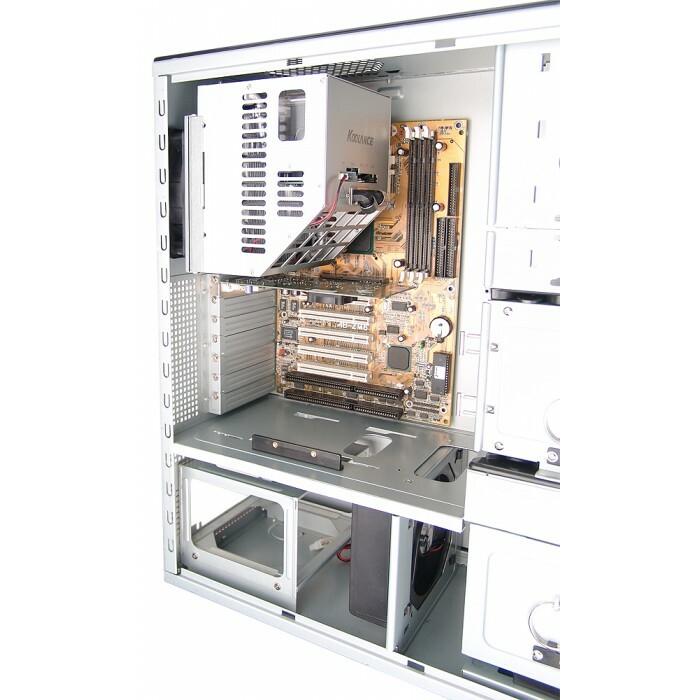 An all-in-one liquid cooling system, it's designed to provide quick and easy installation inside an ATX chassis. 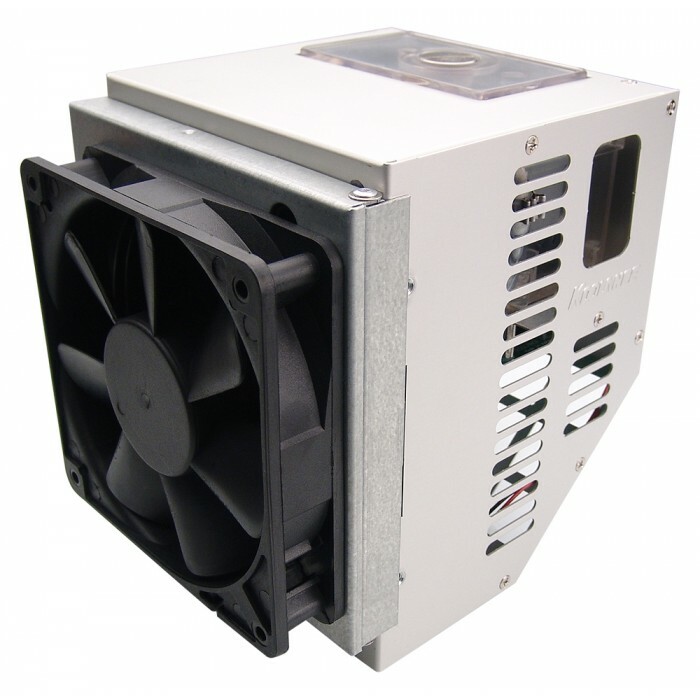 The Aquian mounts to a standard rear 120mm fan grill, and features a 90° hinged design for easy installation and maintenance. 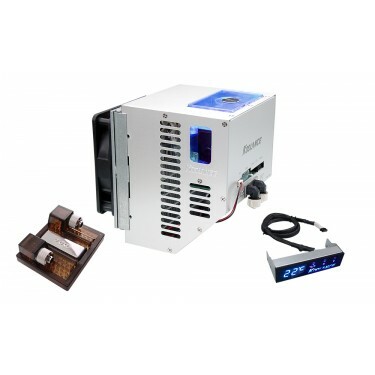 A CPU-305-H06 Cooler is included with brackets for: AMD Athlon 64, FX, Opteron, Sempron, Athlon XP, Duron, Intel P-4 (LGA-775 and 478), and Celeron processors. Xeon CPUs require an additional adapter. 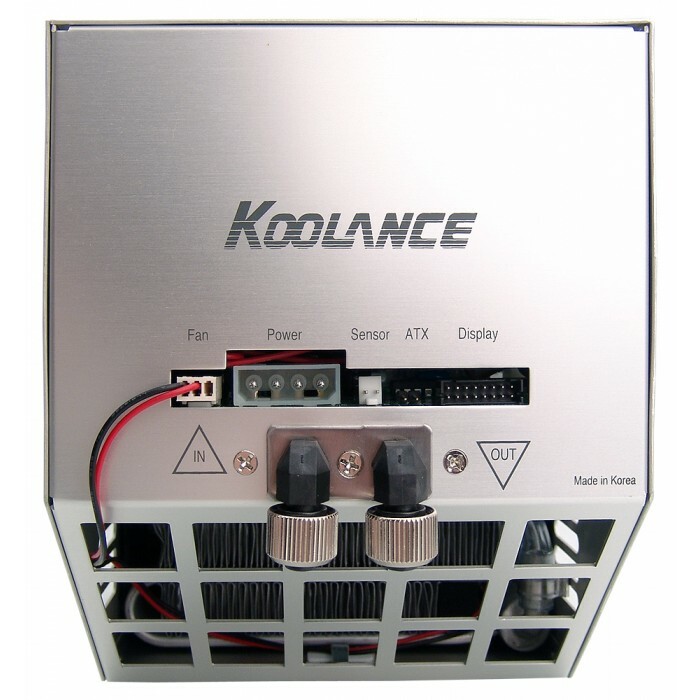 The Koolance Aquian ICM-510 is powerful for its size, performing similar to an Exos-Al. 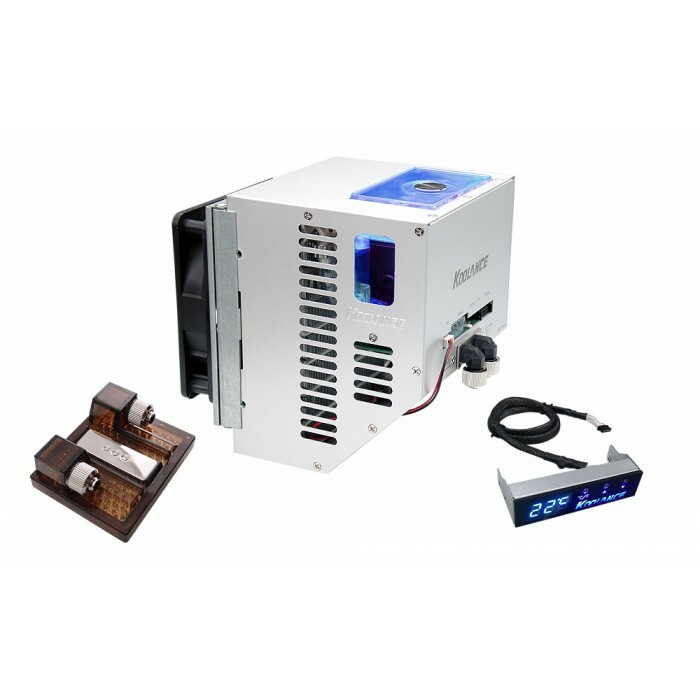 It combines a unique compact radiator, dual pump reservoir, and control board in an aluminum chassis. 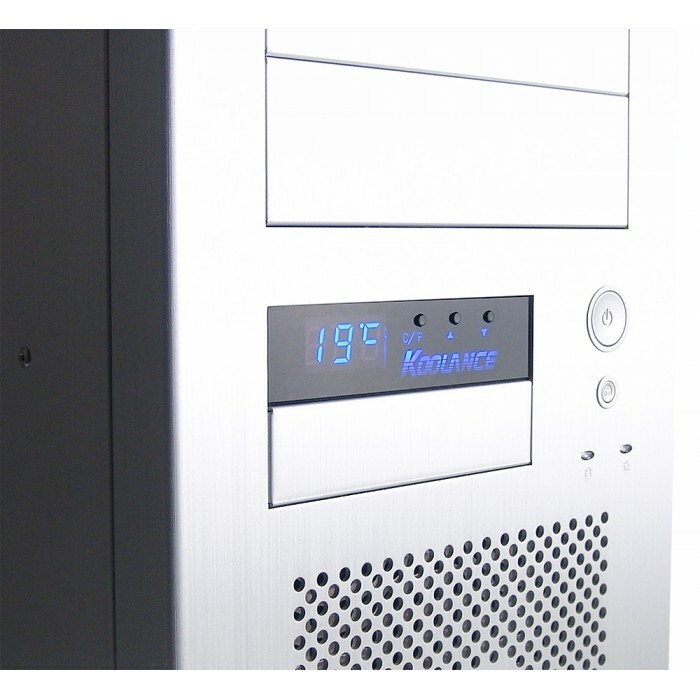 A 3.5" LED temperature display is included, which could alternatively be adapted to a 5.25" bay. 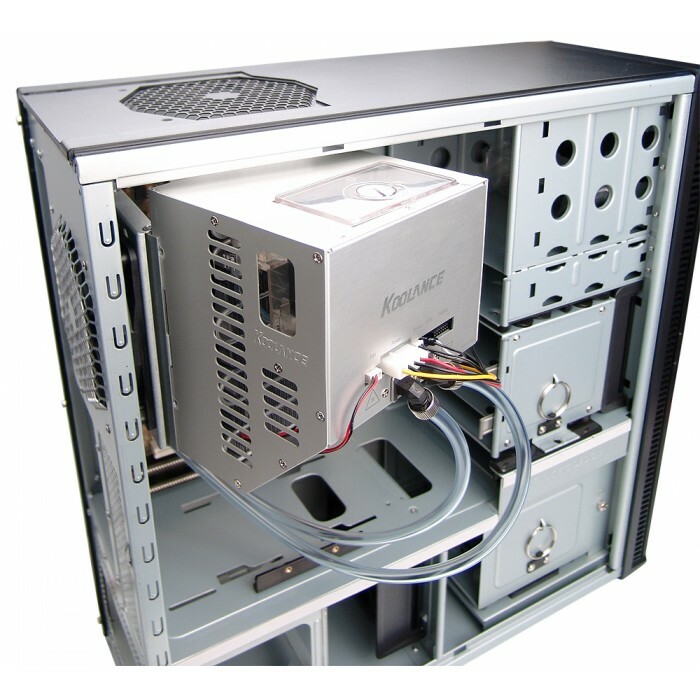 NOTE: The Aquian ICM-510 is designed for ATX chassis with a rear 120mm fan grill. The fan bracket will adjust up to 1 inch (2.5cm) vertically to accommodate different grill locations, and to help avoid potential conflicts with video cards and chassis support bars. The Aquian ICM-510 can not be mounted upside-down.